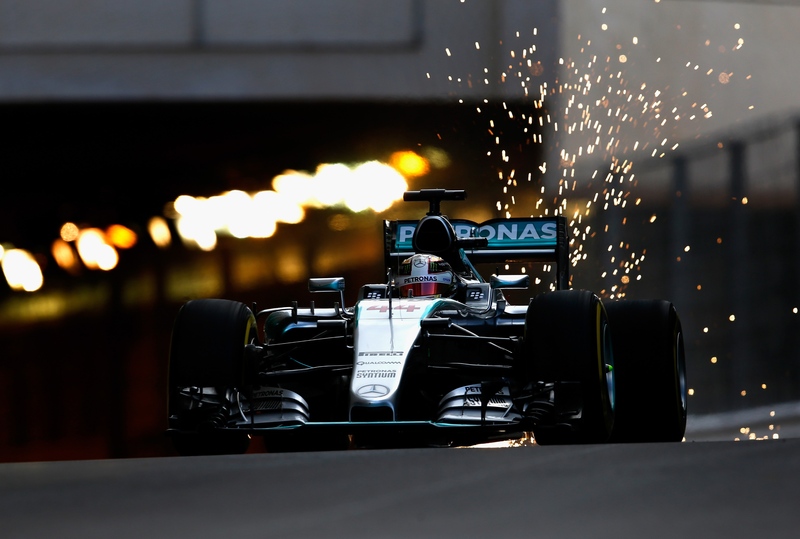 The 2015 Monaco Grand Prix event got under-way today with the traditional Thursday free practice sessions. Lewis Hamilton topped both of the 90 minute sessions, with rain relegating most of the teams to the garage for a majority of the second session. The status quo would dictate that Lewis Hamilton and Nico Rosberg would set the pace or be at the sharp end of the time-sheets as the historic Monaco Grand Prix event got under-way. This would not be the case however. Hamilton indeed managed to top the first session, but team-mate Rosberg would be a second slower and would finish the session down in 9th place. Rosberg has won the last two Monaco Grand Prix from pole position, but he could get any closer in this session. The German nearly damaged his car after rubbing the wall at Tabac. You would expect that with one Mercedes further down the time-sheets that the Silver Arrows’ closest rivals Ferrari may occupy 2nd place. This wasn’t the case either, as a very late lap by Max Verstappen was enough to put the teenager just a tenth down on the reigning world champion on his first visit to the principality’s streets. Red Bull’s Daniel Ricciardo followed the Toro Rosso driver, with the Australian placing a few hundredths ahead of former team-mate Sebastian Vettel. Top speed performance isn’t important at Monaco, with the focus being on having a great handling car to tackle the track. This is perhaps why all 4 Renault-powered cars were in the top 10 in this session. Carlos Sainz followed his team-mate Verstappen and senior team driver Ricciardo to take 5th in the session. Former Toro Rosso driver Daniil Kvyat was the final member of the Renault quartet as he took 7th in his Red Bull. Pastor Maldonado split Sainz and Kvyat in 6th for Lotus. Kimi Raikkonen was half a second down on team-mate Vettel, with the Finn finishing the session in 8th place ahead of Nico Rosberg in the Mercedes – with the #6 Silver Arrow being the first car not within a second of P1. Williams’ Felipe Massa completed the top 10 and was just ahead of former team-mate Fernando Alonso. McLaren are hoping to score their first points of the year this weekend, but both drivers were just outside of the top 10 in this first session. Lewis Hamilton continued to lead the time-sheets in the second practice session, with Nico Rosberg improving from his first session by taking 2nd; but he was still down by 7 tenths from his team-mate. Sebastian Vettel and Kimi Raikkonen locked out the second row of the time-sheets in 3rd and 4th place; with the Scuderia’s hopes of challenging Mercedes as they had done in Malaysia looking distant unless they can whittle down the 1 second advantage Hamilton holds over them. Renault powered cars continued to show reasonable pace, with Daniil Kvyat leading the rookie duo of Carlos Sainz and Max Verstappen. The 4th and final Renault car of Ricciardo was outside of the top 10 in 16th place. Fernando Alonso put in a good lap in the 15 minutes of dry running to put his McLaren in 8th place; a position that would grant him 4 points should he finish there in the race on Sunday. He finished just ahead of Nico Hulkenberg and Romain Grosjean who completed the final positions in the top 10. Only around 25 minutes of on-track action actually took place in the 90 minute session, with rain disrupting the session halfway through. The session had only been running for 15 minutes when Roberto Merhi bought out a red flag after losing control of his Manor at the exit of the tunnel. During the red flag period, the rain began to fall, with the teams electing not to head out when the session was restarted. No cars ventured out on track, with the exception of Pastor Maldonado for an exploration lap, until the final 10 minutes. Even then the drivers all had wet tyres fitted on their cars.